Cut out the cards and match them up to make sentences. Decide whether the conjunction in each sentence is coordinating or subordinating. The cards can also be used to play a game. 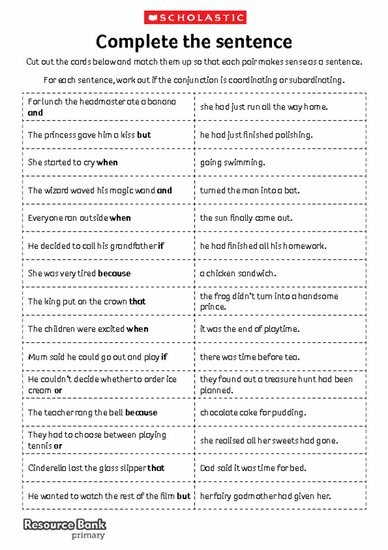 Take a look at the ‘subordinating and coordinating conjunctions’ article (http://education.scholastic.co.uk/content/31786) for more on this.